If we look back at the last few months of SSD progression, it becomes rather evident that there is just a bit of a fist fight between competing SSD controller manufacturers, SMI and Phison. SMI has maintained a solid footprint in the industry for the last few years but most recently, Phison released its 5012-E12 controller which has gained quite a bit of traction. Whether either company cares to admit it, ones gain is the others loss in an industry where countless third-party SSD companies are on the hunt for the fastest SSD controller available, and at the best price point. Three of our most recent reports on Corsair. Asura and MyDigitalSSD SSDs have discussed the E12, however the only report we have had with respect to the SMI SM2262EN was our original controller preview back in Q4 of 2018. Today will be our first retail look at the SMI SM2262EN controller with the ADATA XPG SX8200 Pro NVMe M.2 SSD. 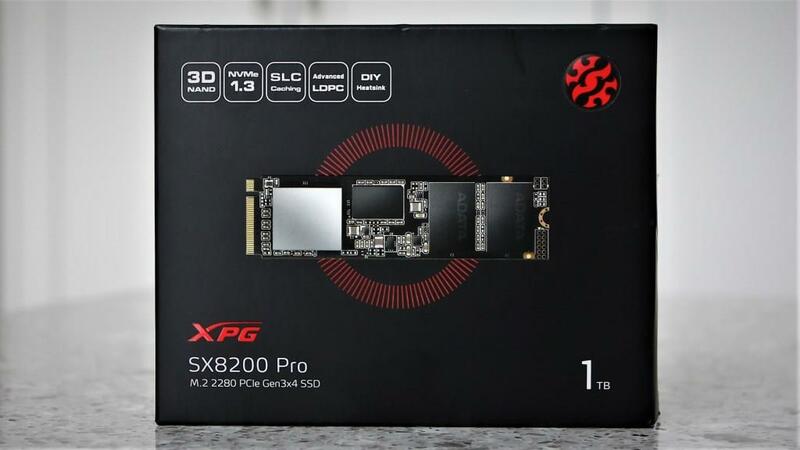 Available in capacities of 128GB, 256GB, 512GB and 1TB, the SX8200 Pro is a PCIe 3.0 x4 (four lane) M.2 SSD which is of the 2280 (80mm) form factor and accommodates the newest NVMe 1.3 protocol. Its performance is listed at 3.5GB/s read and 3GB/s write with 390K IOPS read and 380K IOPS write with a very impressive 5-year warranty by ADATA. 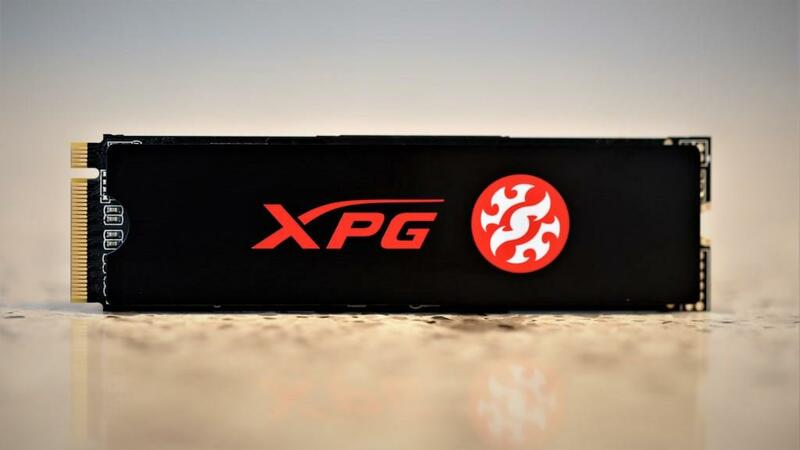 Included with the SSD is a black XPG heatsink with pre-applied thermal compound to ensure heat is easily dissipated from the controller, DRAM ic and memory to the plate for dispersion into the air. This is actually the first time we have seen this idea and it is rather impressive. Pricing for the ADATA XPG SX8200 Pro on Amazon right now is $184.99 for the 1TB version we are testing today and the price reflects just how far we have come with SSD pricing in the last few years; this is a decent price. Looking at the SSD itself, we can see that all components are set onto an attractive black PCB, the silver SMI SM2262EN 8-channel controller being the stand-out. Although ADATA chose to brand its memory, we can let you in on the fact that it is Micron 64-layer 3D TLC NAND flash memory. 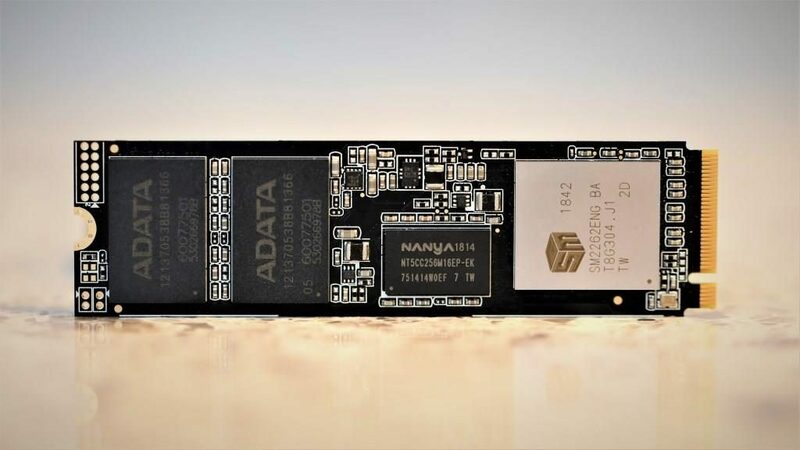 This SSD is two-sided, in that, there are two Micron memory chips, along with one NANYA DRAM cache chip on each side of the SSD. As with most modern SSDs, the SX8200PRO has SLC caching which really means that there is a section within each memory module that moves data faster through a SLC buffer or cache. SLC caching in modern memory is more of a necessity for performance than a desire. Its sale is made as a benefit but the question remains that, in large file transfers, what performance do we drop to when the SLC buffer is full. Some companies disclose what the hit will be and when, while others don’t. We have addressed this on a report or two as it has come up prior, and certainly will here as well if we hit see significant performance drops. The SM* controllers are said, in others reviews, to have really bad power to performance ratio. I wish you would test the power consumption of this drive.